What is the Iron Builder Challenge? 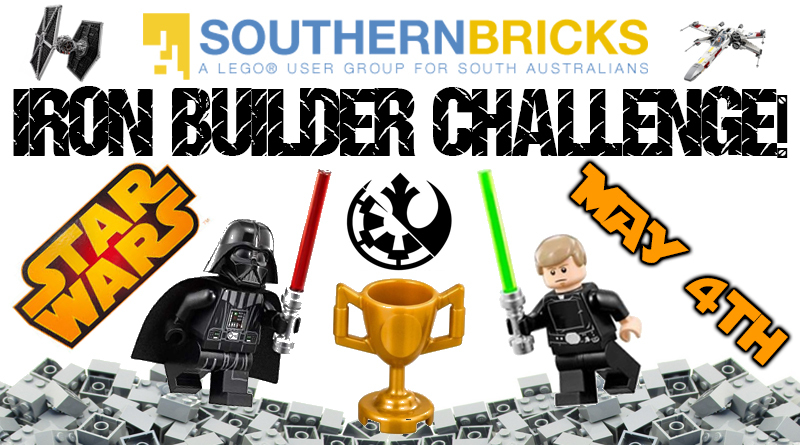 A creative and fun Lego building competition held at every Southern Bricks Meet Up, in which one or more Lego pieces or themes are specially chosen by the Southern Bricks Community Builders Group to be used in building your own Lego creation (MOC). Bring your build to our next Star Wars-themed Meet – Up on May 4th @ the Hamra Centre in Hilton, place your build down on the Iron Build Table we’ll have setup and the best Lego MOC chosen by public vote wins! Dress up in your favourite Star Wars/Space outfit to join in the fun! Each Iron Builder Challenge is completely open for public viewing on the day – as are our Meets! – and we encourage voters to choose the most interesting usage of the selected parts for each round. 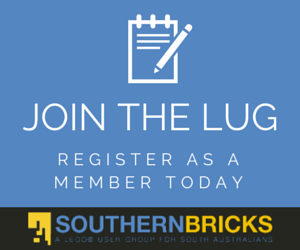 The Iron Builder piece given to Southern Bricks members varies between events, so make sure you don’t miss our regular Meet-ups to get your bricks and battle it out to be a Master Builder! Build a Star Wars themed MOC out of LEGO that is no larger than 30 cm x 30 cm x 30 cm (Height x Width X Length) in size. Power functions and lighting encouraged. Creativity strongly encouraged! The Builds that win usually have the most interesting concepts presented in the best way possible. Prizes will be awarded based on the highest number of votes tallied by 3.00 pm on “Meet day”. There will be both AFOL (Adult) and KFOL (Kids) prizes on the day. TFOL bracket can be created depending on the number of valid entries by TFOL members (3+), but prizes may not be available. Please note: Prizes may vary in value between events. Now get building, call out in our Facebook group if you get stuck (be discreet as your MOC should be a surprise!) and we’ll see you there!